There’s no clue that the breezy, grass-covered, empty lot at 66th and Ashland was once the master plant of Chicago’s most famous bakery, or, that the red brick storefront at 33rd and Wallace was its first location. Although gone without a trace, Dressel’s Bakery was for 60-plus years the maker of Chicago’s beloved Chocolate Fudge Whipped Cream Cake. Layers of chocolate fudge cake stacked around a full inch of whipped cream with light-chocolate buttercream on top and a crushed-nut garnish, Dressel’s “CFWCC” was a classic favorite. It outsold all other Dressel’s cakes at a ratio of 60% chocolate fudge, to 40% everything else. The story of that cake is the story of three brothers and a hard-working immigrant family. First farmers in Barrington, (after coming to America from Germany in the early 1900s,) the two older brothers—Joe & Bill—were initiated into baking by their uncle Lorenz Nock who operated a bakery in Bridgeport at 33rd & Wallace. Joe & Bill bought the business in 1913 while they were still teens. Younger brother Herman pretty much grew up there, working full-time in the bakery by the time he was 14, and becoming a partner in the business in 1923. To Joe & Bill’s sales-, production- and people-skills, Herman—who was in charge of cakes–added his friendly nature, innovator’s spark and artistic skills, proposing the idea of a whipped cream cake in the early ’20s. It was a smash hit. By 1929, it took two policemen to handle the Saturday crowds lined up down the sidewalk and Dressel’s was selling $2,000 to $3,000 worth of the cakes in a day, priced at 60-cents, 75-cents and $1.00. The volume built to 10,000 cakes a week by the ‘40s, with ten phone lines to take orders. To handle that kind of demand, the Dressel’s started experimenting with freezing the layers of the cakes before WWII. Figuring out how to formulate the cake so that thawed, it would remain moist and light, took innovation. In-the-shell eggs all came from one farm, butter from one supplier, and the cream—the heart of the cake—was brought in from dairies and pasteurized on site. Understanding the importance of that cream layer, Herman Dressel studied breeds of cow and the grasses they were fed, in order to hone in on the cream he preferred (from Wisconsin Holsteins.) Dressel used the highest-butterfat content cream and then actually added butter to the cream in a proprietary reverse process he developed that was only used at Dressel’s. While Dressel’s cake was a production cake, which means that home-baking won’t perfectly emulate Dressel’s techniques —Lost Recipes Found worked with members of the Dressel’s family to create a home-cook version of the cake the Dressels approved. Most important? 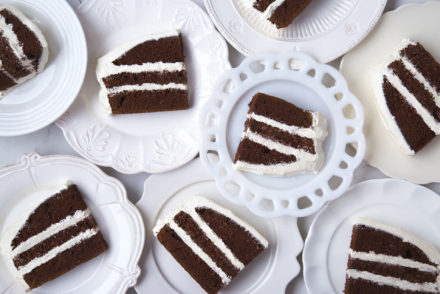 Dan Dressel stresses that each layer of cake and whipped cream must be exactly the same thickness. As well, the buttercream must not be too thick. “My dad worked very hard to ensure that when you took a bite of the cake, the flavors and textures were perfectly balanced,” says Dan. The ULTIMATE birthday cake! 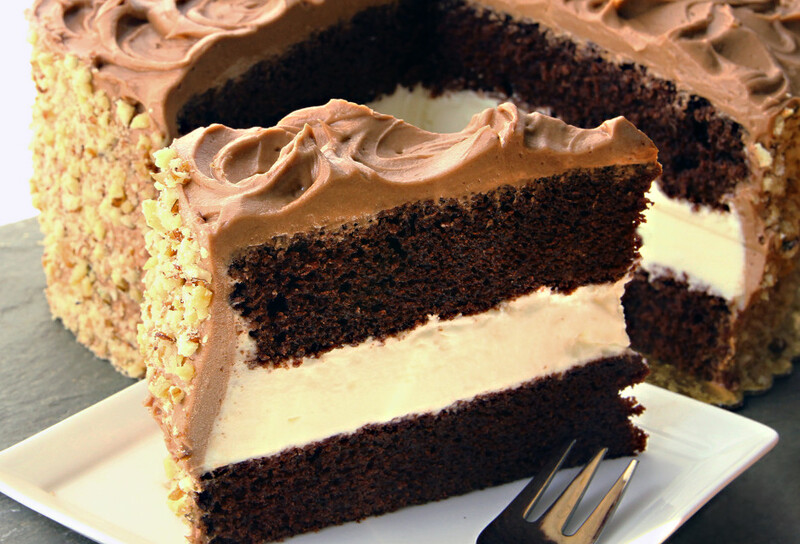 Perfect chocolate cake layers with whipped cream and chocolate buttercream on top. MAKE THIS! 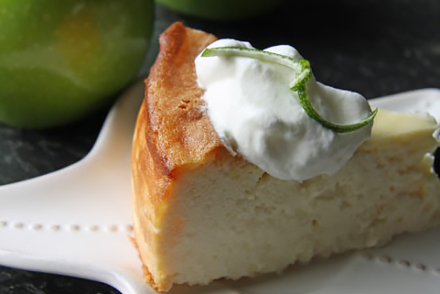 In large mixing bowl, beat sugar and eggs 3 minutes until fluffy and creamy. Blend in oil and vanilla and beat two minutes more. Combine boiling water and cocoa powder, stir to dissolve, mix in soda and salt. Pour into batter and incorporate. Add flour and mix until blended and smooth. Pour into prepared pans and tap pans to release bubbles. Bake at 350 for 35 to 40 minutes until cake springs back when touched. Remove from oven; let rest in pans for five minutes. Turn onto racks. Let cakes cool completely. While cake is baking, make whipped cream. Place 1 cup water in saucepan with 1/2 tsp agar agar. Heat to boiling; boil 4 1/2 minutes. Let solution cool just until you can immerse your finger in it–still quite warm and liquid–this takes about 3 to 3 1/2 minutes. While you’re waiting, combine 3 cups of cream with 1/2 cup powdered sugar and 1 tsp vanilla. Turn mixer to low speed. Before cream reaches soft peak stage, add 3 Tbsp of the warm liquid agar/water solution to cream all at once (there should be at least 2 1/2 to 3 tablespoons of this solution left after boiling) and whip until consistency firms up. Note: The whipped cream will not be super firm–just firmer than typical whipped cream. Make your light chocolate buttercream. Whip two cups of room temperature unsalted butter with 1/2 cup of vegetable shortening and 4 cups powdered sugar at low speed for 8 to 10 minutes until the mixture is fluffy. Add two tsp vanilla. Whip again just to incorporate. Mix together 2 1/2 Tbsp oil with 4 Tbsp Dutch process cocoa powder. Whisk into buttercream until evenly distributed. Assemble cake: Trim the “dome” off the top of each fudge layer to ensure each cake layer is exactly level and of the same thickness. (Note: if you are allergic to nuts, crumble this trim into crumbs and place on a parchment-lined baking sheet. Toast crumbs in the oven at 300 degrees until crispy. Crush these crumbs fine and reserve.) Place first fudge layer on a cake liner on a footed cake stand. Carefully pipe 1-inch of buttercream around the rim of the fudge layer, so you now have a standing lip of buttercream on the cake layer. Fill this with 1-inch tall whipped cream. Add several more spoons of whipped cream onto the center. Layer the second fudge layer of cake over the whipped cream layer. Using an offset spatula, carefully seal the outside edge of the cake (sealing whipped cream in) with buttercream, using a little more buttercream if needed. Frost top of cake with buttercream. Frost sides of cake with buttercream. Apply crushed nuts (toasted walnut and pecan) to sides of the cake. (Or, if allergic to nuts, apply the toasted cake crumbs to the sides of the cake.) Freeze the cake, which will ensure that the whipped cream layer and buttercream will firm up. Set cake out 1/2 hour to 45 minutes before serving to soften. I've had notes from people panicked about the agar agar and stabilizing whipped cream. Folks, this was the recipe the Dressel's approved. HOWEVER you don't HAVE to stabilize the cream this way. For a very quick cheaters version? 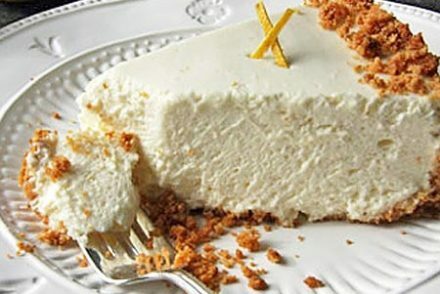 Just buy a box of instant vanilla pudding, whip the cream until just beginning to firm up, add 1/2 box of the pudding mix and no additional sugar, whip until quite firm and layer in the center of the cake. One caveat: Firming the cream this way will result in flavors at the center of the cake that are not like the original Dressel's cake. Also, this version is best if you serve the cake the day you make it. Adding the instant pudding mix will make the cream gummy if held too long. This looks very complicated but I have to give it a try. Best cake ever made! Can’t wait to make this. I was blessed to have had the original Dressel’s Cake. They were so delicious. I’m not sure what agar agar is though. I assume it’s some form of sugar. Could you let me know where to get it. I just recently discovered that this is the cake my mother-in-law had every year for her birthday growing up. I decided to search it on a whim, and cannot tell you how excited I am to try to make this for her. Problem is, I’m in Chicago and she’s in Florida. I’m thinking since it has to be frozen anyway, I could ship it overnight packed with dry ice. What do you think? How far in advance can it be made before eating? Glad you found this. Well, you can try that. I think it should be fine. The cake layers are very moist. Be sure she thaws it well before eating. Good luck! After years of periodically searching Google for Dressels and finding only articles and blogs bemoaning the company’s demise,, I am so excited to see your post, Monica Rogers! My family lived on S. Justine (one block off Ashland in a house that is now an empty lot) from 1955-1960 and I remember seeing the sign on the roof of the Dressels factory while walking to my school (St. Mary’s of Mt. Carmel on Roosevelt Road–also an empty lot now) or the grocery store with my mother. A Dressels cake was always a special treat and they were available in grocery stores for many years, even in Michigan’s Upper Peninsula where my grandparents lived. My July birthday often was celebrated in the UP so I also was lucky to usually have a Dressels birthday cake! My family also loved the yellow cake with whipped cream and strawberries and the banana cake which also had the whipped cream, chocolate buttercream & walnuts like the chocolate fudge. I remember that chocolate icing as being so light it was almost like chocolate whipped cream. I definitely will try this recipe for my next family gatherng! Now, if someone could just find a good recipe for another staple of mid-century Chicago-land: Salerno “Jingles”, crispy anise-flavored, shaped cookies only available during the Christmas season! I’ve seen blogs about those as well but, alas, no good recipes. Ha! Margaret–love your note! This cake is the best. No Jingles to offer today, but hey, I’ll look! Happy Pesach & Easter Week! Oh my gosh. I’ve searched this for years. My dad would buy one 2x a month as a special treat. We always ate each layer separately, the center creme last. It was so good. As an adult, also had 2 per month and for anyone at work’s birthday. If you brought another cake, you were trashed. Can’t wait to try this and share a part of my childhhood in Colorado. Miss it so much. THANK YOU!! I’m curious about the Hershey’s Special Dark cocoa powder. Looking online it seems to be a mix of natural and dutched cocoas. Is it possible just to use either dutched processed cocoa or natural cocoa? Or does it have to be Hershey’s Special dark? If you didn’t guess, I have both natural and dutched cocoas in my kitchen but no Hershey’s Special Dark cocoa powder. Hi I made this cake today. I’ve been wanting to make this for awhile now. This cake was one we had at our home for everyone’s birthday party. It was sooo darn good!! The cake turned out perfect. But I have to say the chocolate buttercream didn’t taste very good and I don’t remember that flavor in this cake. The cake and the whipped cream was great. I’ll make it again with a different frosting maybe.